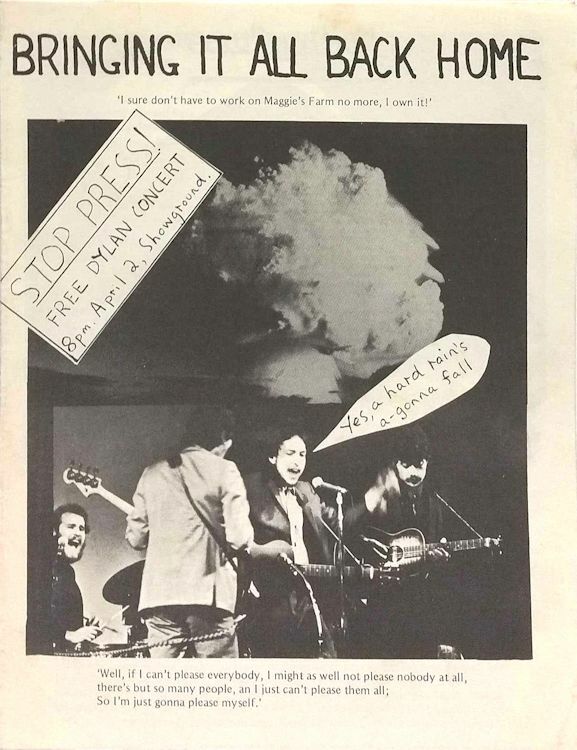 "Free Bob Dylan concert promotional material. Includes photographs, cartoon, a short piece on Dylan by The Editors of Rolling Stone, and an essay 'Epitaph Or Rebirth?' by Bob Dylan." (eBay). No information on this strange item: Bob Dylan performed in Sydney on April 1st 1978, not 2nd, the actual venue was Sydney Sports Ground, and it was of course not a free concert.